As die-hard Indian food fans, we can rarely resist a thali. They’re a great way to try a little bit of everything – perfect if you’re indecisive or just greedy. 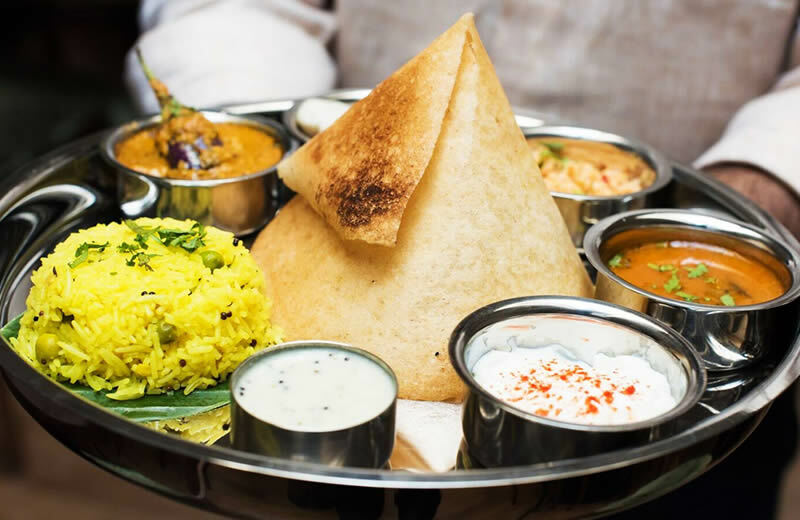 If you fancy adding a bit of spice to your summer, here are five top thalis to try in London. This east London restaurant has been a hit with London locals and visitors alike for over 20 years. It’s owned and run by celeb chef Cyrus Todiwala and his wife Pervin. Using locally and sustainably sourced British ingredients wherever possible, the team recreate authentic dishes from Goa, Kashmir, and beyond. Priced at £19.95, their thali includes three vegetable curries, plus lentils, rice, papad, raita, farsaan (a savoury snack), and roti. Woodlands has evolved over the years to offer a diverse pan-Indian menu, but it’s perhaps best known for its South Indian specialties. Their restaurants in Piccadilly, Marylebone, and Hampstead are also fully vegetarian – perfect for your meat-free mates. The Madras Thali includes South Indian treats like idli, Hyderabadi aubergine, coconut sambol, and a mini masala dosa. There’s also a Delhi Thali, if you prefer the sound of paneer tikka masala and dal makhani. Swap your traditional Sunday lunch for the Mighty Thali, launching this weekend at Tandoor Chop House in Covent Garden. Come hungry and bring a friend because this feast is not for the faint-hearted. 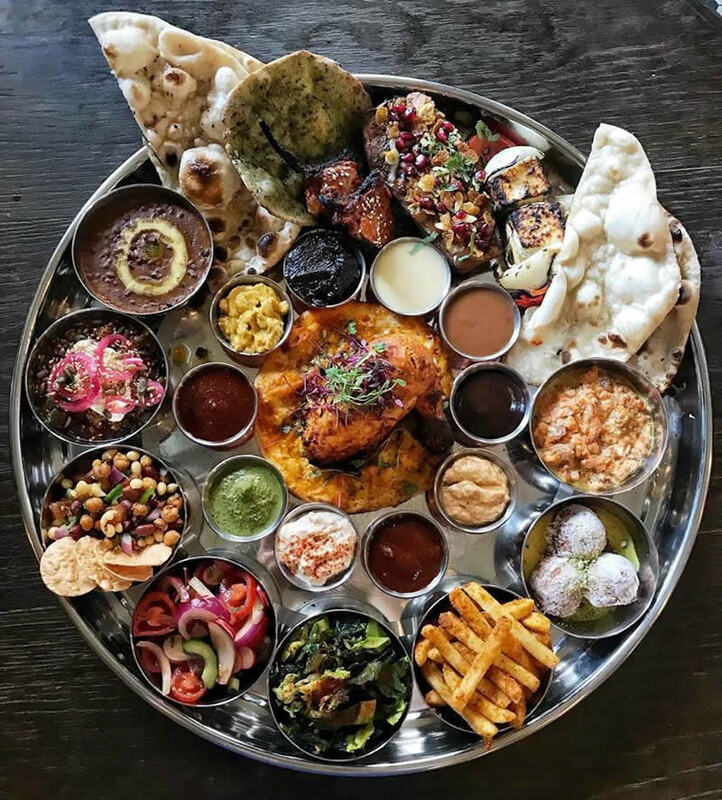 Priced at £25 a head, it includes menu favourites like tandoori chicken, Amritsari lamb chops, black dahl, gunpowder fries, and refreshing kachumber salad. There are four different breads to mop up all the sauces (including butter chicken naan!) and two sweet treats for dessert. You might need a nap afterwards, but it’s totally worth it. 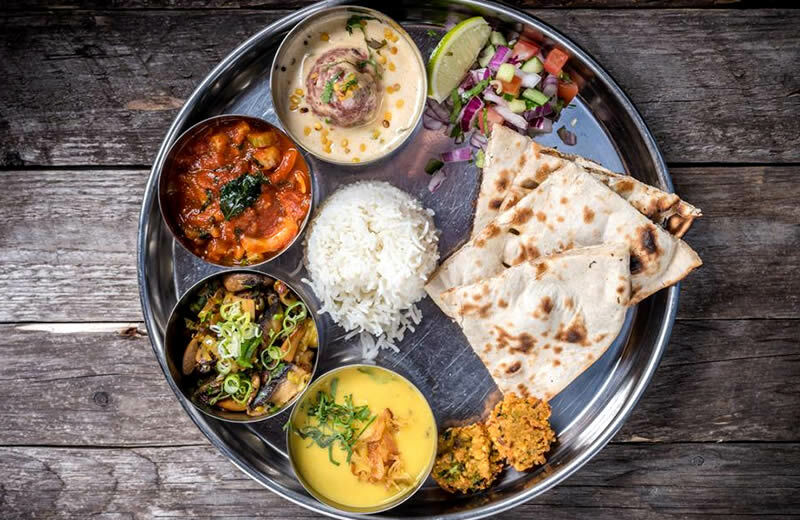 Situated on Old Brompton Road, Thali is a neighbourhood favourite that’s smart enough for date night but equally well suited to a low-key lunch. Chef Dila Ram and his team specialise in North Indian cuisine – their Rajasthani lamb chops are a must-try. If you fancy trying a few different dishes, there are three thalis to choose from – the seafood option is particularly good. Start your day with spice with Talli Joe’s Saturday brunch – 90 minutes of spicy plates, good vibes and bottomless prosecco for £35 per head. 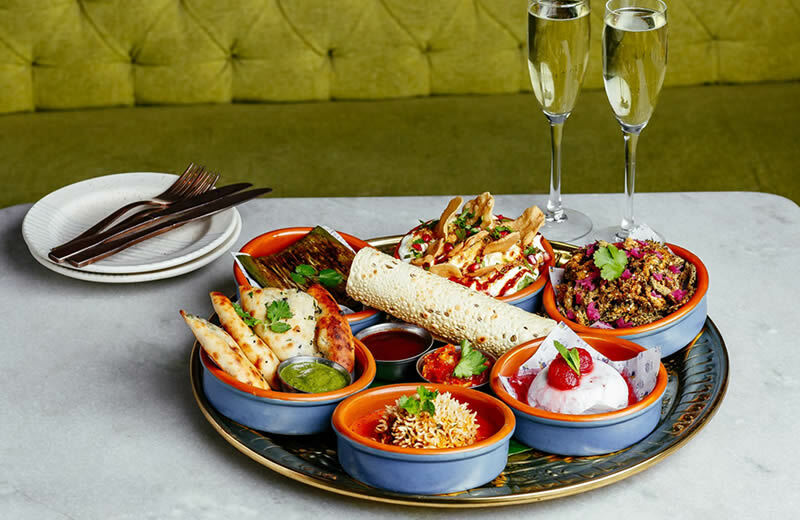 Available from noon until 3pm, the brunch platters include some of the restaurant’s most popular dishes, including spicy Goan-style prawns, naans stuffed with venison kheema, and Old Delhi butter chicken pulao. Save room for their Keralan-style coconut pudding with berries – it’s the perfect palate cleanser. Hungry for more? Try more top thalis at restaurants like Saravanaa Bhavan, Chettinad, Thali & Pickles, Ganapati, and Thali Ho. 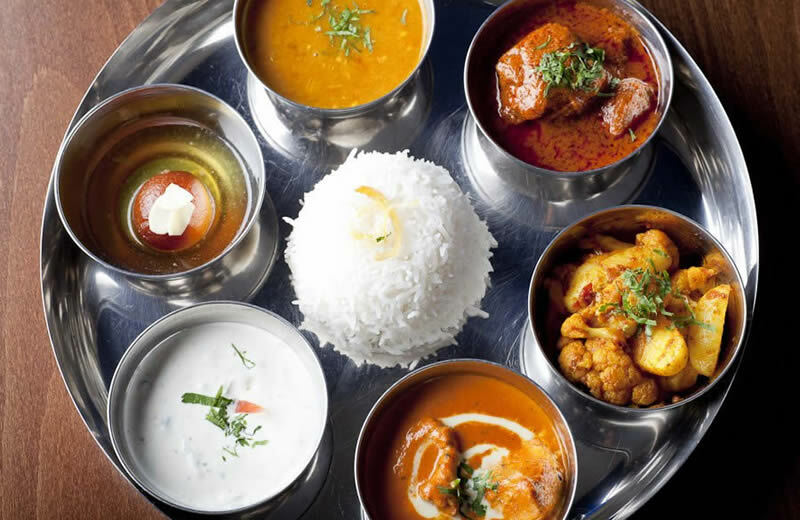 Visit OpenTable to discover more Indian restaurants in London.